Book the hunting experience of a lifetime. 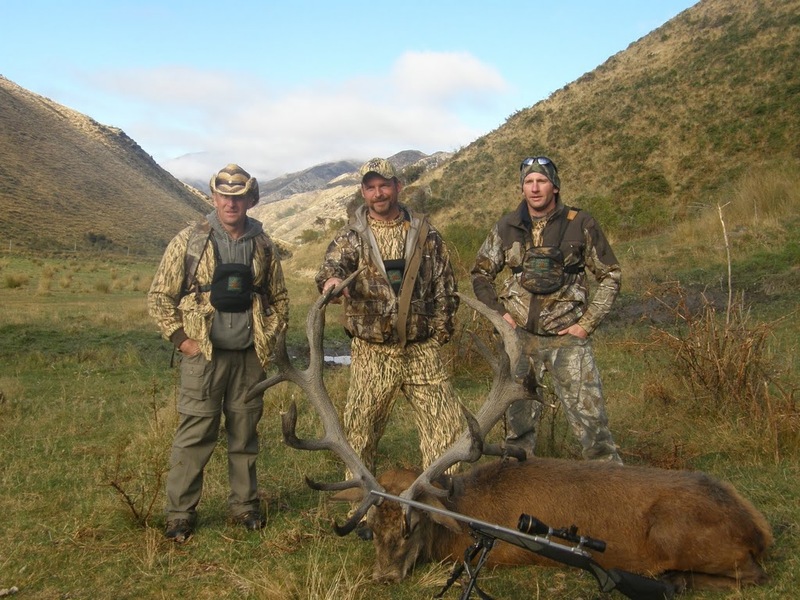 Book a New Zealand Red Stag hunting trip with Telford Hunting for the experience of a lifetime. As one of the most experienced professional guides in New Zealand, and with exclusive access to ideal (and beautiful!) terrain that can accommodate the full range of hunting opportunities, a Red Stag hunt with Telford’s is a must-do for any serious hunter. 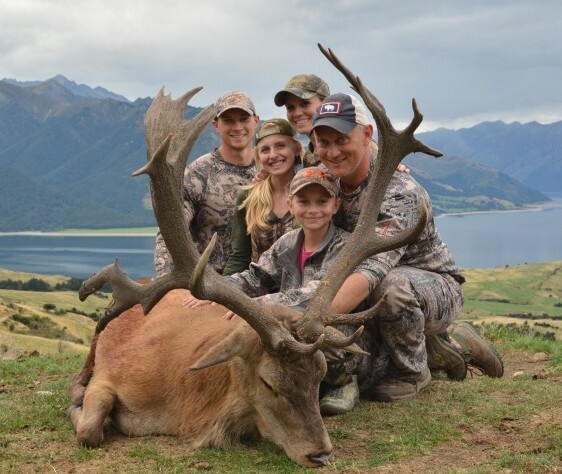 Trophy Red Stag hunting in New Zealand is predominately on private land. The land is either leased to professional guides (as is the case for Telford Hunting), or the landowner outfits the hunting by directly employing guides. 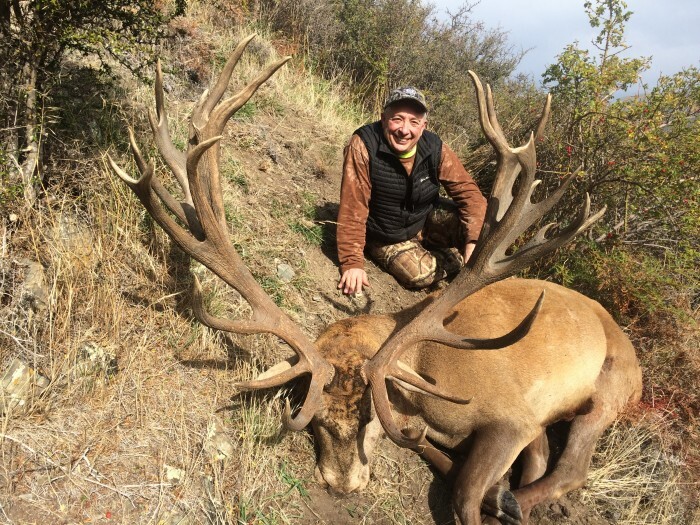 With high numbers of stag and managed hunting, success rates of 90-100% are expected. Classic 12-18 point trophies are common, trophies sporting 30-50 points achievable and world record heads do occur. Red Stag rut from mid-March though to mid-April. This “roar” period enables hunters to pinpoint a now very vocal quarry. Pre and post rut hunting is available from mid February when stags strip their velvet until the antlers are cast in late August. The reverse seasons to those in the Northern hemisphere helps draw hunters to New Zealand in time for prime hunting of Red Stag. Bow hunting Red Stag is a very successful method if you have the right people, the right property and proper equipment. All guides for Telford Hunting are experienced and accomplished bow hunters. 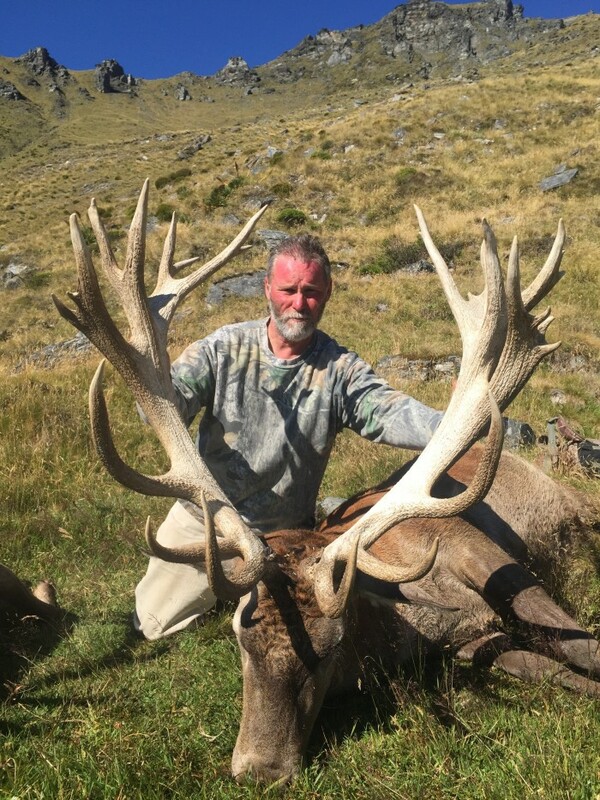 Each guide has plenty of international experience as well as bow hunting success on all New Zealand species including Red Stag. Their skill and knowledge of both land and animal will give you every chance to secure your trophy. Discuss your invitation to hunt with us. The Red Stags hunted in New Zealand today were introduced into NZ in the 1860s. Prior to their introduction there were no native mammals in NZ. The NZ landscape was a blank canvas for the early immigrants to NZ. The early settlers desire to take the best of the “old country”, into the new, saw the acclimatization of a plethora of introduced species. In many cases a lack of science was overwhelmed by enthusiasm. By the beginning of the 20th century the Red Deer had migrated into the hinterlands. With no predators, they multiplied to a level that allowed for sports commercial hunting. New Zealand’s present status as the world’s premium Red Stag hunting destination owes so much to those early introductions. Red Stags (male red deer, the females are hinds), are now hunted under fair chase conditions thought out New Zealand. 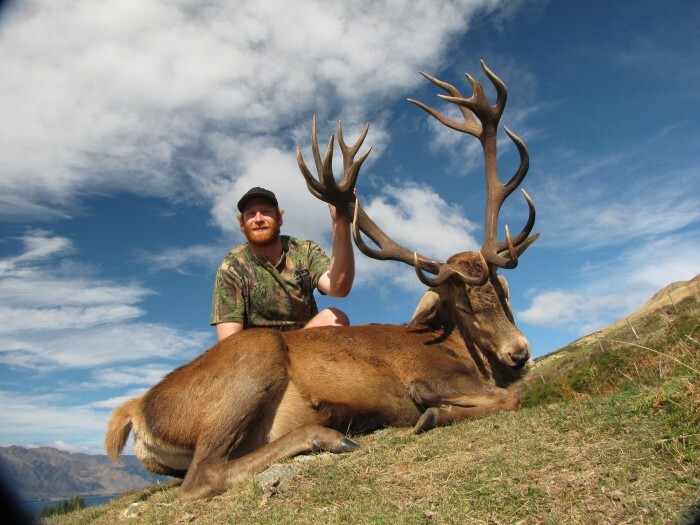 Trophy hunting as an industry is dominated by overseas hunters drawn to New Zealand by the promise of the opportunity to secure a magnificent trophy. There are a select number of professional guiding operations (que Telford hunting) that, through sustaining modern management and scientific practice, have established New Zealand’s present reputation as having the biggest and best Red Stag hunting in the world. 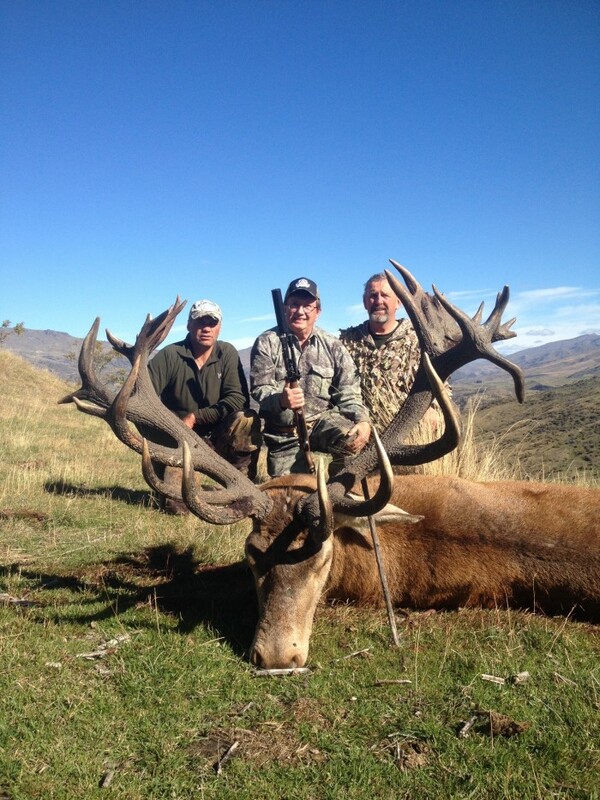 Contact Gerald and Sue to book your New Zealand Red Stag Hunting adventure now!